With the support of the World Bank and the Private Sector Foundation Uganda, under the competitiveness project, Government embarked on various land reform projects, one of which included the launching of the Land Information System in February 2013. The modernization and computerization of the land registry entailed sorting, reconstruction, indexing and data capture. So far about 500,000 records have been captured. The Ministry of Lands, Housing and Urban Development, under “The Design, Supply, Installation and Implementation of National Land Information System Infrastructure (DeSINLISI)” project, undertook measures to modernize land administration in Uganda. A year after the end of the pilot project for computerization of land records and provision of Land Information System, the government partnered with the Consortium led by IGN France International to extend the provision of computerized land information system services throughout the country and to finalize the conversion of land records into digital form, to provide capacity building, training and public awareness campaign. 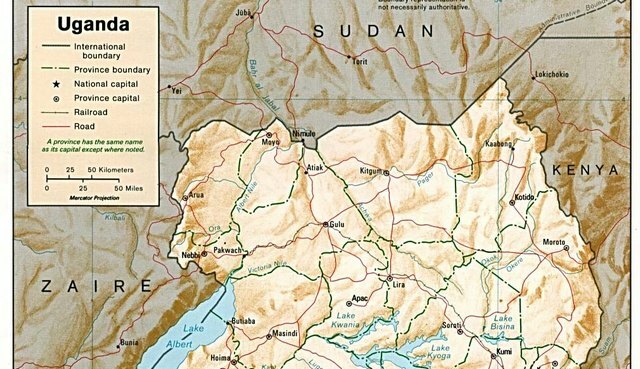 The second phase of the project, which is five year program (February 2015 – February 2020), will continue the decentralization process of land administration services and will result in a decentralized and fully integrated land information system incorporating 21 Ministry Zonal Offices across the country. In a bid to ease land transactions for its clientele, the Ministry divided up the country into twenty one cadaster zonal offices. Thirteen of these zonal offices have been constructed in various districts. After the launch of the Land Information System, the Ministry piloted six zonal offices in the first phase in Kampala, Wakiso, Jinja, Mukono, Masaka and Mbarara. This was in a bid to eliminate a backlog of unprocessed land registration transactions. The modernization of the land administration procedures at national level contributes to the reduction in time and costs associated with the registration of titles. The intervention shall exponentially increase on its efficiency regarding storage, access, and retrieval of land information. It prevents encroachment on wetlands, forests, road reserves and other public land reserves and reduces the risk of fraud and litigation amongst individuals, families and communities, and improves the service delivery to the public. We advise that processing requirements to procure a land title have been modified. We are available to discuss in detail the various steps. We can also avail our contacts in the different land registries to give priority to our client files.